What payment methods are available for my selected currency? SBOBET offers multiple local payment options for more than 15 currencies supported. You may refer to payment options page for the payment methods available. 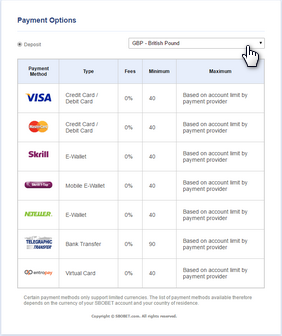 Simply select your currency from the drop-down menu to check what local payment methods are available to you.